Our state of art facility offers inspired programming, top-notch mentoring and a collaborative community. 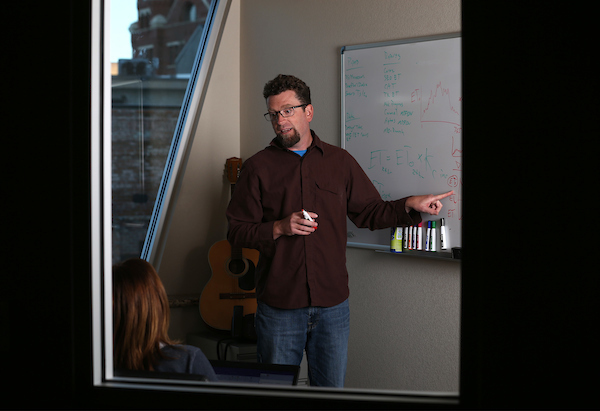 Adams Hub for innovation is a magnet for startups, entrepreneurs, consultants and freelancers in the Northern Nevada, Reno and Lake Tahoe region. 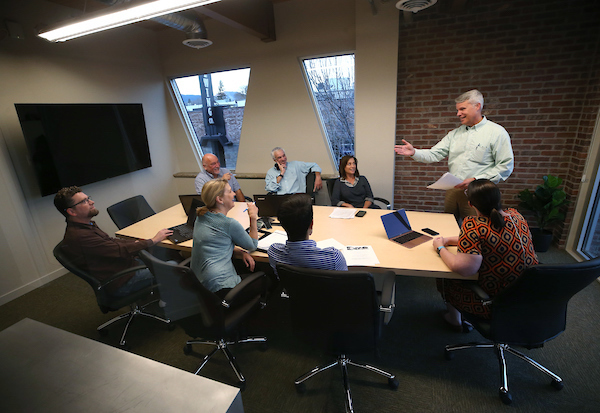 Inside our state-of-the-art facility in vibrant downtown Carson City is a supportive and convivial community of growing businesses. Our members get energy and inspiration from the creative collisions, collaborations and aha! moments that happen here daily. More than a coworking space, more than a business incubator–we’re a place to make amazing new connections, grow your dream, and create the future. Startup support with 24/7 coworking, meeting facilities and dedicated mentor team. Our most popular membership programs. Work-life balance isn’t just a dream in the Northern Nevada-Lake Tahoe region. Our community combines genuine warmth and friendliness with wide-open opportunity and a “don’t-fence-me-in” entrepreneurial spirit. Here, we live at the pace we choose, whether we’re hiking the Sierra backcountry or starting up a new business. Carson City, Nevada’s capital, is rich with history but unabashedly forward-looking. And unlike other beautiful areas, it’s affordable, uncongested, and offers unbeatable quality of life. We’re just four hours’ drive to the Bay Area, and Tahoe-Reno International Airport will remind you of the way air travel used to be: easy, quick and convenient. “Adams Hub is fantastic. Solo Entrepreneurs don’t have to be so alone. There are experts on hand to answer questions and the workshops are top notch. Their virtual programs are excellent as well. It’s the perfect place to build or grow a business!” Diane B. “Great place to work and connect with really cool, supportive, and innovative people. Has a good vibe–exciting, creating lots of potential, forward-minded, progress-oriented, and go-for-it attitude. Really nice location in downtown Carson City. 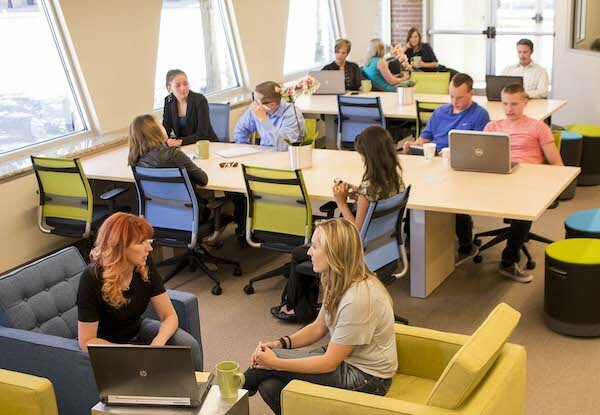 Glad to be a part of it!” Molly D.
“Great place to be connected to other people, get valuable business advice, and grow your business.” Pavel S.
The Studio at Adams Hub is a 1500-square-foot flex space designed for workshops, classes, events and large meetings. We offer it to the local non-profit community at no charge on a space-available basis.